We solely source angora fibres from Swiss breeders who are committed to ethical husbandry and harvest the fur without harm to the animal. 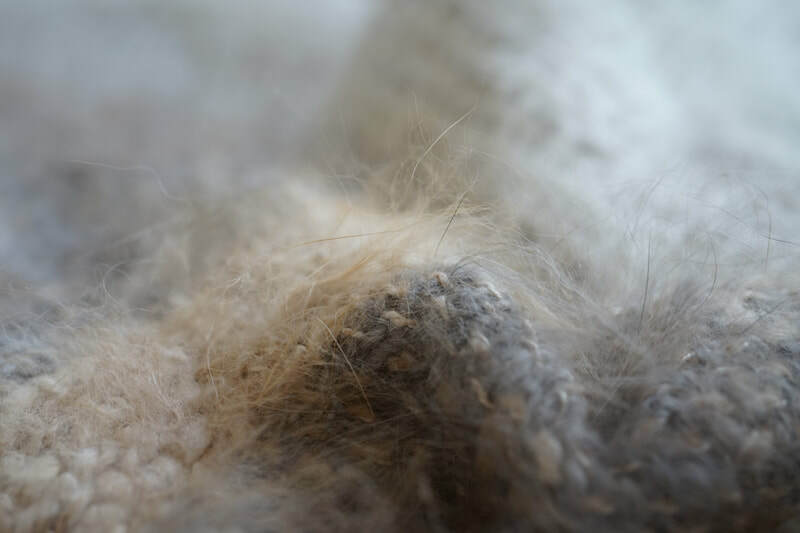 Textile artisan Irene Brühwiler selects the fur and hand spins the fibre into a yarn that she then weaves in her own atelier highlighting the natural palette of the rabbits´ furs. Angora rabbits have been bred to moult every four months. The hair reaches an optimum length of about 10cm – 14cm and proceeds to loosen from the follicle. At the same time it is being replaced by secondary growth that will be about 1 – 2cm long when the loose coat is removed. 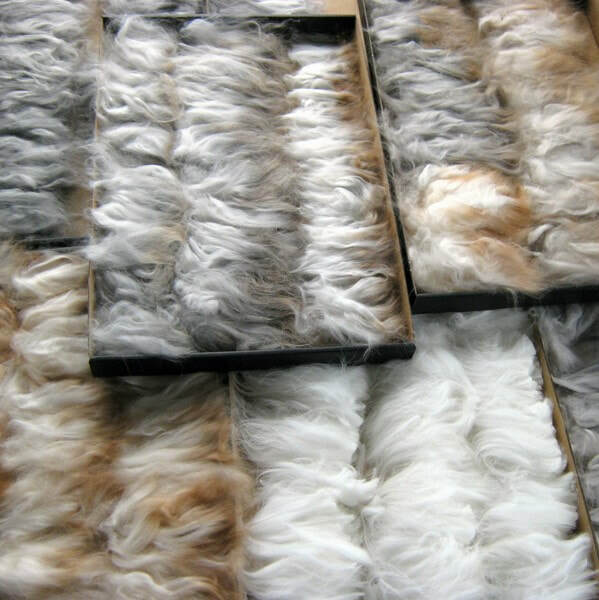 Only the long loose fibre is removed either by brushing or shearing depending on the breed and animal. 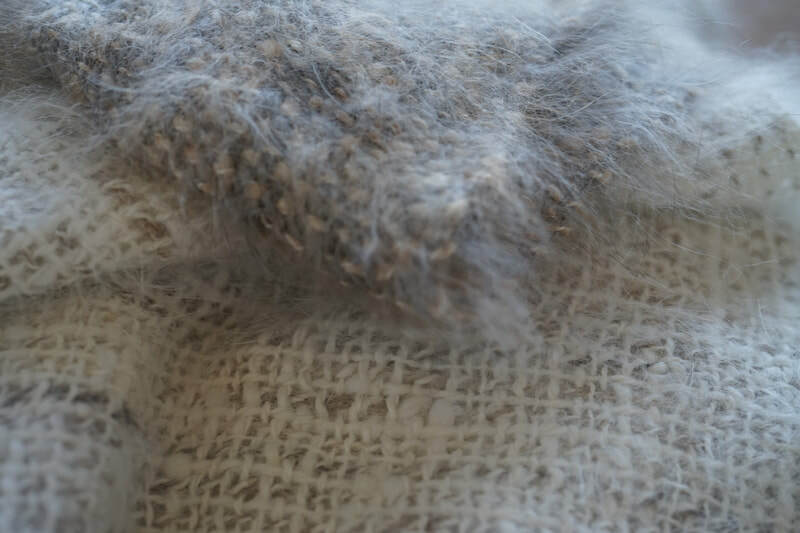 For animal welfare and best quality, any wool that is still attached to the follicle is left behind. Bunny fibres are extremely slippery. Experienced spinners simply grab a small handful of angora and teas it into a cloud. 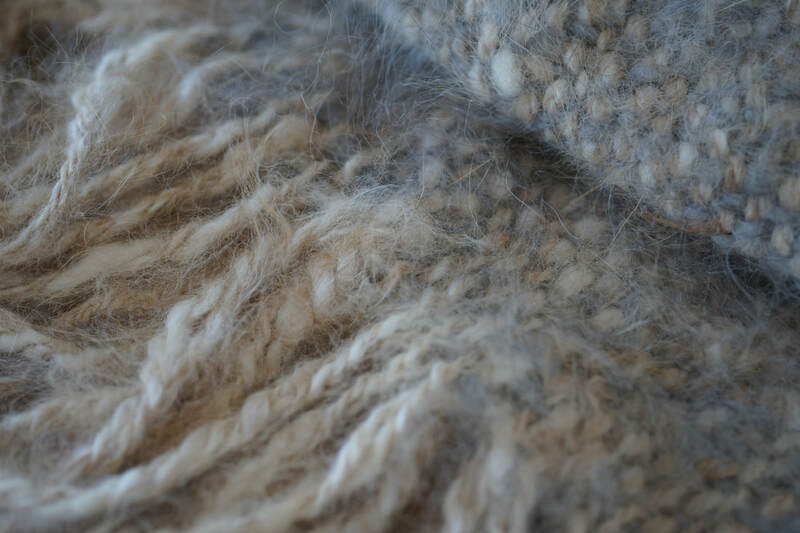 Spinning from a cloud is easy and produces a nice woolen yarn with a bit more halo in the finished product. 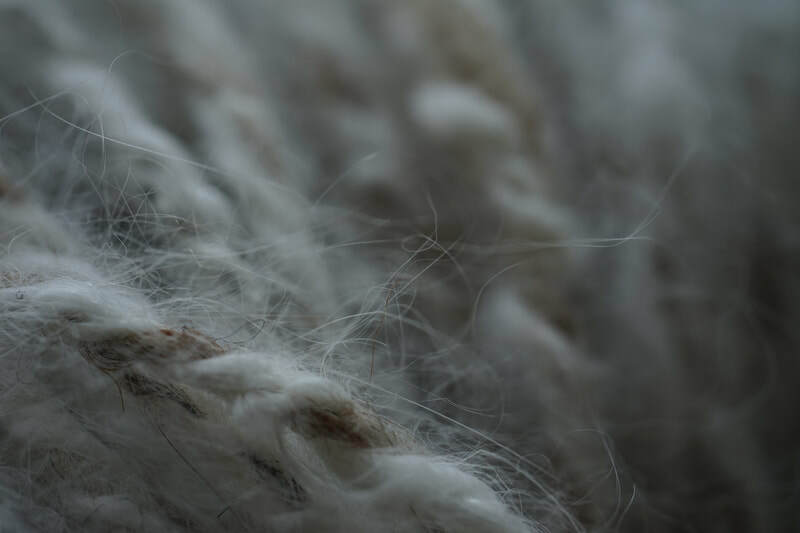 ​The processing of spinning twists the fibres, creating a biased thread. Two or more of these threads are then spun in reverse, to untwist the fibre, while wrapping the two threads around each other to create a balanced yarn. Irene Brühwiler weaves all scarves on her hand-operated Jacquard loom. Her knowledge and experience is fundamental to create unique scarves paying punctilious attention to design. HPrecise workmanship and passion for the fabric are the elements that make each scarf an exclusive examples of artisan excellence and reference to traditional looming techniques in our alpine region.